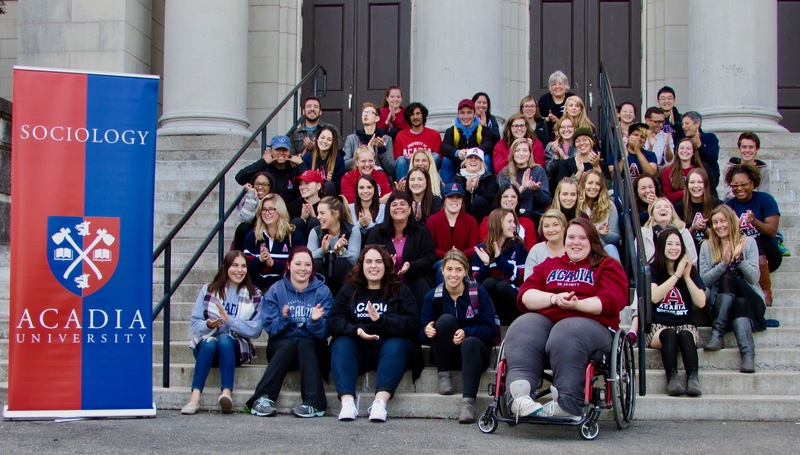 Sociology at Acadia provides a critical scholarly analysis of how we understand and experience our social world. There are three broad themes that define our programme: knowledge and power, social justice, and the Sociology of everyday life. We emphasize a commitment to public Sociology and transformative practices. The department's concern is with the kind of educational experience which will enable continued analysis and understanding of social phenomena beyond the immediacy of the university experience. Our renowned Research Methods programme offers students opportunities to research a diverse range of social issues thus connecting classrooom learning and community engagement. Our graduates are thus equipped with the necessary skills to actively participate in a complex social world. We have a strong honours programme, and a small but solid graduate programme. Graduate and honours students often work as teaching assistants in lower level courses and, less formally, mentor undergraduates who are adjusting to university life. Students are encouraged to participate actively in the Department. With smaller classes, particularly at the senior levels, students work closely with individual faculty. Faculty members mentor students to develop their learning and research interests and help students plan their future education and career goals. A degree in Sociology helps prepare students for a range of possible careers including: academics, law, policy, government, teaching, research, social services and social work, health care, criminology and various types of community work. Students wishing to transfer to the sociology major must have a grade point average of 2.0. If you have any questions about our programme or about sociology more generally we invite you to contact either the Head of the Department Dr. Zelda Abramson or any other faculty members. Congratulations to Dr. Zelda Abramson and John Lynch on their book release, The Montreal Shtetl: Making Home After the Holocaust. 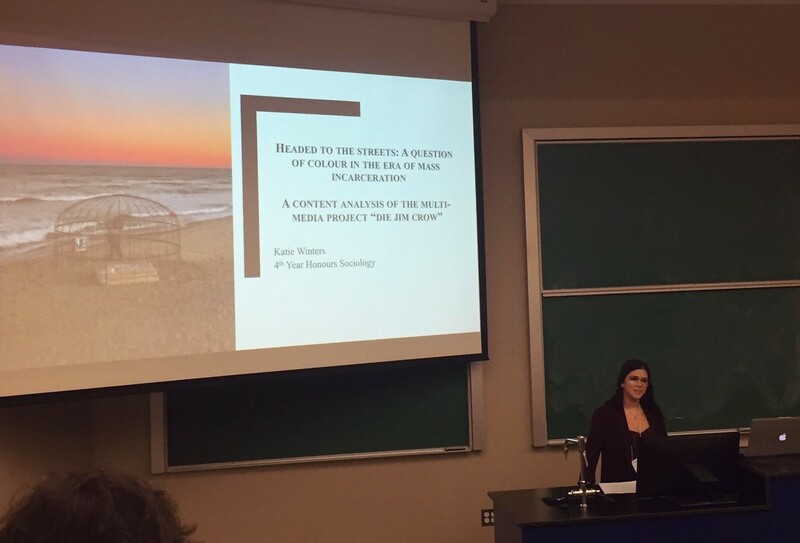 Congratulations to Katie Winters, BA Honours 2019, for winning the top award for best undergrad presentation at the Acadia Student Research & Creative Works Symposium 2019. 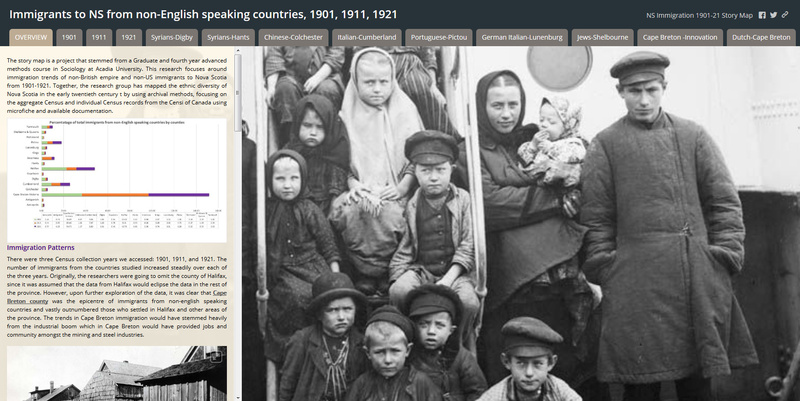 Congratulations to the MA and 4th Year Methodology Seminar students for their stunning research project - Immigrants to NS from non-English speaking countries, 1901, 1911, 1921. What are you going to do with a sociology degree? Sociology offers unique skills to "citizens of our world"